Welcome back to my blog! I apologize for no Phoenix article yet, but it is coming. Rather i thought we'd do another blog about a driver and this time it's about Kasey Kahne. Yes the guy that makes girls go crazy and has a heck of a lot of skill. Yes, we can't go hang out and toss a beer back with him (water for us under 21 lol), but we can take a look into what Kasey has done over the years in racing and where he is now and what his plans are for 2011 and beyond. Also have some fan twitter opinions i will share on what people think about Kasey. Prepare yourself for a wild ride! We are going to take a ride with Kahne! Well let's start at the beginning shall we? 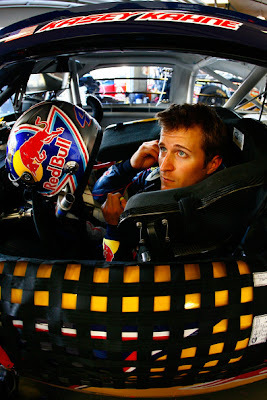 Kasey Kenneth Kahne ( born April 10, 1980) is a full-time NASCAR driver. He participates in the Sprint Cup Series, NASCAR Nationwide Seriesand the NASCAR Whelen Modified Tour. He is the driver of the #4  Red Bull Toyota Camry for Red Bull Racing Team. Kahne also drives the Nationwide Series #38Great Clips Chevy Impala for Turner Motorsports. Off the track, Kahne is active in charitable work and is a member of the President's Council on Service and Civic Participation. He also owns his own race team,Kasey Kahne Racing, that competes in the World of Outlaws series, fielding two cars, one for Joey Saldana, and the other for Cody Darrah. His team also fields a car in the USAC Sprint Car Series for Brady Bacon, and in USAC midgets for Brad Sweet. Kahne is a two-time Skagit Speedway winner of the Annual Jim Raper memorial Dirt Cup (2002 and 2003), and holds the current record for the fastest lap at Skagit. Kahne began racing open wheel sprint cars at Deming Speedway at 17 in Deming, Washington, before moving up to Skagit speedway in Alger, Washington, and then he moved to USAC. In 2001, Kahne made a trip to Pennsylvania where he won the season opener at the historic Williams Grove Speedway. He was hired by Steve Lewis, who had also employed future NASCAR drivers Jeff Gordon, Jason Leffler, Tony Stewart, and Kenny Irwin, Jr. In his first year on the circuit, he was named Rookie of the Year, as well as winning the national midget championship. He continued to run USAC, as well as the Toyota Atlantic Series and the World of Outlaws. Kahne made 20 starts in the Nationwide Series driving the #98 Channellock Ford Taurus for Robert Yates Racing. His best finish was a tenth-place finish at Cabela's 250. In 2003, he moved to the #38 Great Clips Ford for Akins Motorsports. He won his first pole at Michigan International Speedway and his first Nationwide race at the Ford 300. In 2004, he also made a pair of starts in the Craftsman Truck Series at Darlington Raceway and Homestead-Miami Speedway, driving the #2 Team ASE Racing Dodge Ram for Ultra Motorsports, winning both races. Alright, yes this is the wikipedia form of Kasey's early career. I apologize for this, but i know some of my readers would not even know who i was talking about so i decided to do some copy and paste for a little memory. As for Kahne, he raced some Trucks and got 2 wins and 3 top tens. As for Nationwide he has earned: 8 poles, 57 tops tens, and 7 wins. Of course in Sprint Cup he has earned: 20 poles, 87 top tens, and 11 wins. Looking over all those stats you can for sure say that Kasey has some major skill! :) He is also known for winning the All-Start Race, and also being a Rookie of the Year. Besides being a racer, Kasey is also very compassionate about charity work and getting to know fans. He has his group KKF (Kasey Kahne Foundation) and also does other charity work with Ronald McDonald home. He has done the 5K and more moments for fans to help him in his work and to be able to help out such amazing causes. Way to Go Kasey! :) Also he has a club, Klub Kahne. 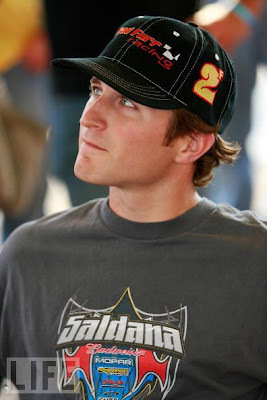 Joining does cost, but Kahne hosts events at his race shop in Moorseville, NC al the time. These fans get access and can go and get items autographed and have a good time with other fans, this is awesome doings by Kasey and all who aid him!
" kk, he's a good driver hasn't had any luck..."
I agree one hundred percent, but I can totally see some good luck coming his way in 2011! Thank you for your input! "lol a talented stud muffin with a big heart, great personality and can drive the heck out of a race car"
I like this a lot too lol! He does have a fantastic personality and you can see how much time he takes for fans and other events and such! Thanks for giving an opinion! My opinion of KK is he is a good driver but it seemed he was more competitive be 4 his knee surgeries & sponsorship move." I totally agree Jess! He has the ability to be great, it may just take some time for him to get there. Best of luck to him in 2011! :) Thanks for a input! 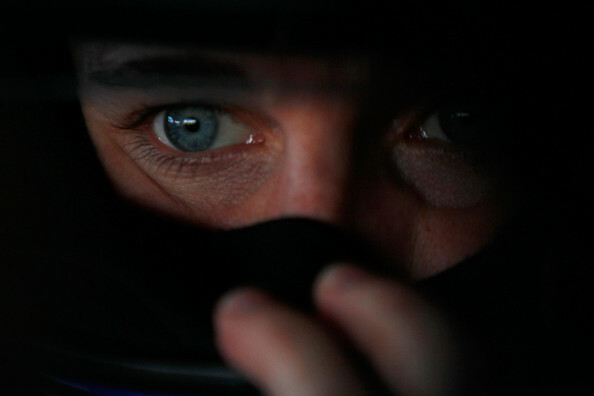 "..KK is also a great person off the track, with his charities and he's, not afraid to drive the wheels off that car." "..KK is underrated as a driver, had lousy cars @ RPM, and I think he'll do well with RB n Hendrick..Great on the eyes too." Well my final thoughts are this: Kasey Kahne is not only a driver of good looks, but a drive with the heart and soul to push through it all and make it work out. Props to Kasey on pushing through the toughest scenarios and making the best out of it all. 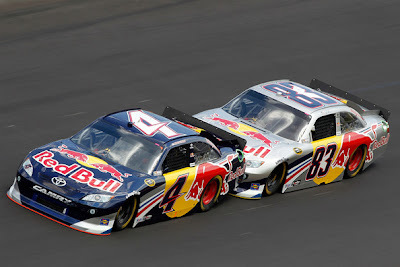 Good Luck in 2011 in Red Bull Racing and good luck in 2012 with Hendricks! Follow the tweeps who gave insight! Thanks to Wikipedia for the information on kasey! !